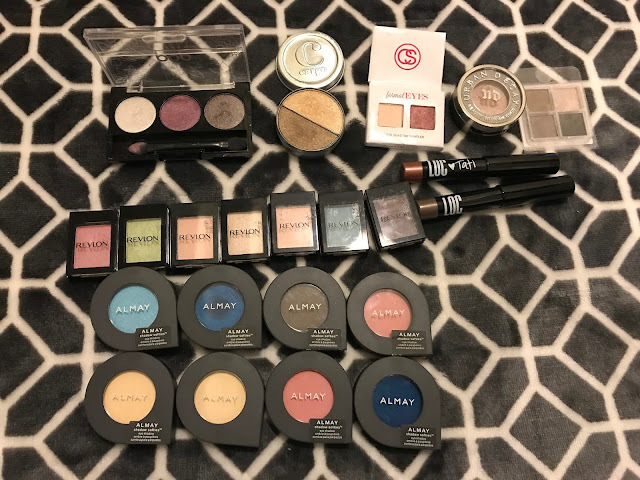 Today we're talking eyeshadows! 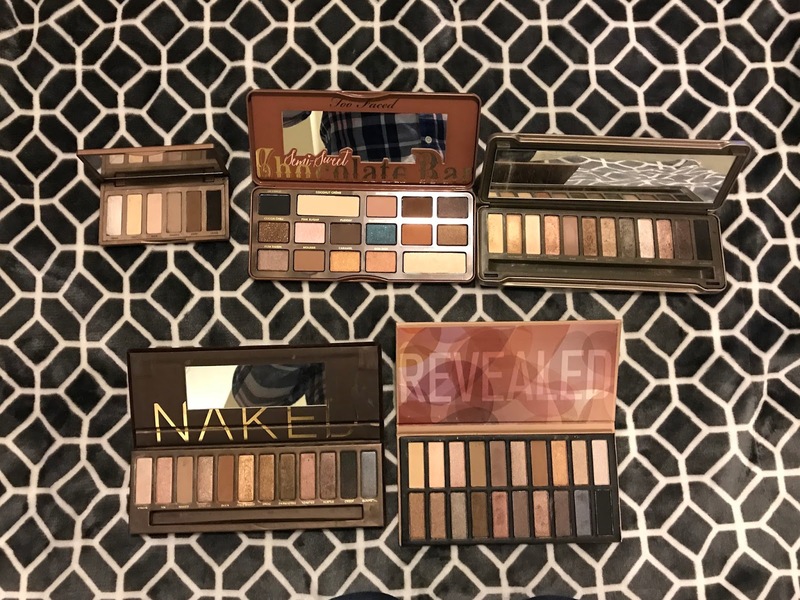 I am obsessed with eyeshadow but do not go through it as fast as I should because I have so much of it. I use my palettes quite often and have made dents in several shadows but have yet to hit pan in any of them. 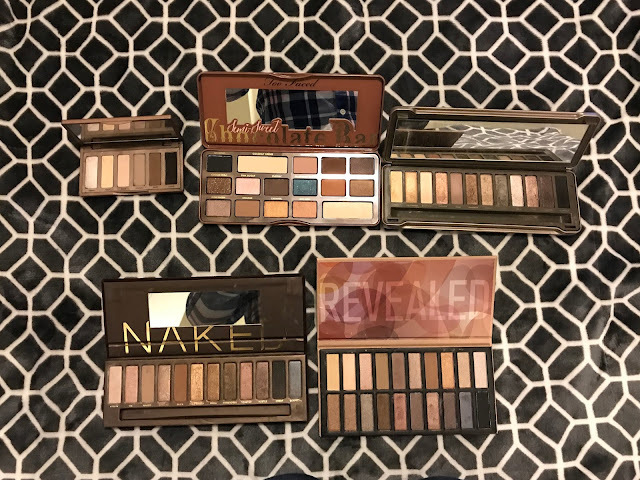 For eyeshadow palettes I have Urban Decay Naked Basics, Naked 1, Naked 2, Too Faced Semi Sweet Chocolate, and Coastal Scents Revealed. 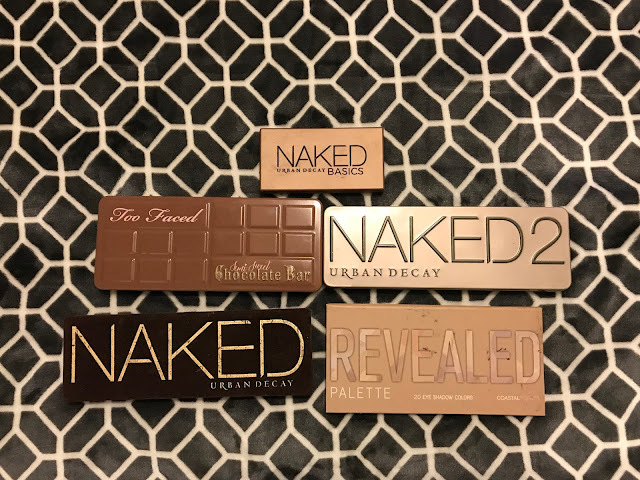 I'm particularly loving my newest palette which is the chocolate bar palette. I have been using that one quite a bit lately. I also have several singles, duos and trios that I keep in my collection. I know, that's an awful lot! I really do love eyeshadow and have made it my mission to wear it as many days I can. Do you love eyeshadow? How many are in your collection?